Markteting strategies of using social media for small businesses! Social media is core to planning, tools and marketing strategies. The world is modernized to a level where we have to accept but not refuse as the technology is now adapted to our fingertips. Because of that we are technically the winners or the victims towards our technology.It's true we have to accept the presents of active technology because it comes in handy on certain events. Accepting social media to connect the world is accepting all new ways of running business marketing, engaging,and promoting. Since the technology is here and everyone is buzzing about it and almost everyone is always on the fingertips surfing for hot material that makes it an active users environment which is targeted by almost every brand and almost each and every small and big organisation to market their services. Business are likely to sprung to success if they know how to market and reach the targeted audience without much hassle. Because users could use social media and gain something out of it or could actually become victims of the technology.But everything have pros and cons. Social media is effective and can not be ignored as things get passed on quickly to each other through ways of engaging. With news feed the most effective way that's why every business is trying to use social media as the weapon to market the business. Plan your marketing strategies and social media goals and that is being smart, to know what you want to achieve. Plan: gather all the information that you might need as soon as possible and have all the summary to hand, to help you archive the goals. Being smart is to know off top of the head the whole summary. Practice any if needed so that when you do it:it will be easy to remember pretty much everything as you go along. A lot things on social media are easy to calculate as you will learn when you go along, such things like followers, likes, retweets, any sort of engagements. Once you have master one platform it's easy to move to another platform and learn new staff even though some sites could be pretty much different. Study audience: a lot of time need to be invested doing this but not your whole life, a good look study need be considered at this level as you need to remember that you are marketing for a business and the audience matter. Having knowledge of the audience helps with knowing the gap in the market. If theirs a gap in the market; theirs potential to make a success through the market. Good energy on watching out for audience need to be invested because sometimes it could be bit difficult to invest as lot of people loose patient at this level of the game. Rushing won't take you anyway. Know where you audience are coming from and the most times they are likely to engage. Engage with them know what they like;what they don't like. Competitors: most people want to dive into business without researching any competitors; competitors need to be known and can be done through research. Compare your business to them. Is your business up to other business standard? Because any client tent to reach out to the companies that have good customer valuation. As a potential client I wouldn't reach out to any business who are not offering good customer service or have a bad brand. Knowing competitors helps you with shaping up the brand or the services. Test: this need to be carried out on each and every you do! It could be by testing the product itself or the service and also the engagement. This helps to know where you stand in the market; yes knowing where you stand in the market is the main thing to as this improves the quality of your business as a organisation. Engaging content is the weapon to mass distraction when it comes to social media and there's variety ways of engaging, it could be by commenting on the post, liking,re tweetinbg or re posting etc or creating magic content that people love. Create accounts to help with existing Account: these accounts need the link pointing to your site to help with traffic potential clients to your main account. It could be one or two people passing trough each and every site you created, but each and every one of them count. As time move on and you get more followers; and the more you grow your business. Use Pinterest: use it to help you improve your business to the next level, the site is widely used by most of the businesses to get in front of the audience. You need to to have knowledge of how to get viral on Pinterest before you try it and give up quickly, this platform need good use of picture to capture audience and potential clients. 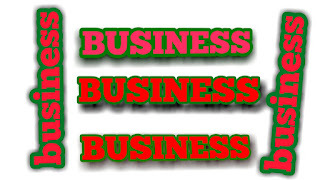 It is build based on the businesses built online so social is also online business. Tools: use the right tools for your business. They are a lot of tools online and some have been out there since 2008. So it's the matter of choosing the right one for the business also the right one for the platform your'e using and choose the right marketing plan for it. Fuel: is combined of all marketing strategies but going an extra mile; using google ads, social media ads, groups and influencer etc; so that you can stand out from the crowd , is the real fuel in injecting your social media to a different league. To be a successful social media person a lot of effort need to be invested wisely.Basically effort with benefit! Engagement is a good example of fueling up your business on social media and need to be practiced most of the times to archive victory. Engagement on this level is really important because without you can't get anywhere. Take advantage of using videos: nice catching videos need to be created to be able to catch potential clients attention,but remember not to abuse your platform with only videos, it won't look interesting if only your platform is full of videos or have more videos than photos because photos are traditional content to social media; and are still effective way of posting content, and videos are there to give a bit of kick and are the new social media content of tech. Create good pictures: that help with attracting wide range of audience as soon as possible. The picture's creative shouldn't have any hesitation because this is what secure you in the league among with other competitors. Live broadcasting: is an easy way to engage with potential clients and it need to be repeated (steady flow) probably once a week or everyday,it has to be done and also at the same time so that people knows when to expect from you. The audience are able to write the comments and post likes on most of them. A good presentation skills are highly advised but not essential as you can learn as you go or practice prior to broadcast. 24 hour stories: keep your clients and potential clients updated:by replenishing old and new stories, so that they know about any updates in the market. Any site that can do highlights; work around to highlight that area as possible as you can. These things can be frustrating setting up, but once you get the hand of it: it could be done quick and easy. People like t know what is in the stories, so you easily find them flicking your highlights stories through and through. And you should know that's where they find out about anything they missed out on the 24 hour stories in case their's anything that was engaged with the the most clients. Because not all the stories are going to fit in the highlights are they?. Give away prizes: in some of the videos; yes you do need to create a content where you give away the prizes to your clients. It could be based on the client who your week first purchase, day first purchase,offer whatever your company offers. Give away prizes is a good strategy of encouraging potential clients to try your services as they will be thinking they would stand a chance to win the prize; of which they do, or they will just think your organisation is big enough to be trusted with online payments; it could be by purchasing with some sort of payments. We are all leaving in the globalized community where it's now hard to trust each other because of the technology but nevertheless doing the give away prizes give a kick to professionalism and also delivering within the right after a purchase builds a good reputation. But now that you have archived that (to give away the prizes) the game isn't over because clients wouldn't know if the prizes have been worn, so now you need to enhance your strategy by giving a big SHOUT OUT to the winners of the prizes in the next give away prizes video you are going to create. Trust me, these small things matter as they help you to build unique brand. Local radio ads: is also an effective way to market your business, because national radio ads may be a bit expensive whereas the local could be affordable and also can aim potential clients for your organisation. It is also one of the traditional way of marketing and promoting products. 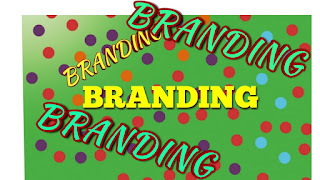 Aim to create brand: high competition is experienced everywhere and flooded market is the world we are leaving in! It doesn't matter what market we are in, petty much everyone is doing the same thing and the social media is here to make our content viral; that is why everyone is going hard creating content to try and and get fame and is making it hard for everyone in the market and only giving those with the skills and great opportunity to stand out from the rest!. Consider how many people use only just Facebook a day; that's 2 billion active users a day, and consider how many of those 2 billion who use other platforms and those who just use other platforms like Intsagram, Twitter, Linkedin, Reddit and Pinterest etc, I guess a lot?.Social media, is flooded like any other internet places, no doubt! Your content need to be unique and have the right marketing skills. So your quality matters; It gives a kick and texture to the content!. Social media Ads promotion:is a great way of exposing business in front of the audience so you can target any potential clients. Well as a business person or individual having some knowledge comes in handy at this level of promoting.A small budget promotion need to be carried out, run this same affordable amount a several times, take note of all the information of the campaign until you feel you have the right reading. If you succeed with the the campaign then investing into big campaign could be ideal and don't hesitate if you have enough capital as this could be enough fuel to inject into your business. But make sure you're happy with the region or countries you want to hit with the the target. If you are not successful at this point I suggest you use other alternative route of promoting, because really and truly fortune could be spent and nothing can be gained. They are some ads that are cheap in a specific countries and have normal rate on the rest of the countries, make sure you look into that and weigh pros and cons before taking into consideration. Because you might run ads in countries where you don't have potential clients and that would be the capital going to waste absolutely. Channels:Links must be fully displayed to help with traffic the audience to your other sites. Links are an effective way of trafficking potential clients. Your platform profile should carry a link on it so easy navigation could be archived. 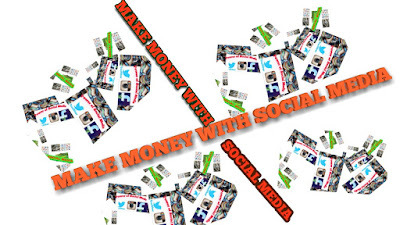 Other social medias:connecting other social media result in success Twitter and Facebook offers the opportunity to display more than one link on the profile. It's a good way of connecting people to the other destiny, failing to display links gives potential clients difficulties with the navigation. This is because some other people use different names on everything and with that it makes it hard for any audience to know unless if only link is displayed. Groups:are an excellent way of getting the business upfront. This strategy is the best way of spreading business quick, as targeted clients are reached. But joining relevant groups is the key as it is an effective way of reaching the audience. Joining any other groups that are ain't relevant could lead in client growth; but not as effective as the relevant groups because with these you from 0 to 100 quick, It's highly advised to join relevant groups first to market yourself and then move on and spread across in the other groups depending with your pocket. Groups charge a fee to post in their site and some groups are free depending with what platform you use. But it's always good reaching out any platform you can and not only work on one platform, because you never know where you might get lucky. Influencer:are an effective way to promote your business, they are known and because of that they can put business on the map. Everyone wants to to follow what their idol does e.g if an idol wear a specific brand people will run and buy the same because they are the heroes, regardless brand could be crap. This helps with brand being a potential product on the market. Same logic applies here with groups, you have to find a relevant influencer to help and target the potential clients, choosing the wrong influencer might result in slowing down business growth as compared to choosing the right one might result in fast tracking business to potential growth. growth. Networking:why not networking? Is the other key strategy of putting business on the map. Start by sending people massages, but direct messaging is not the only way of networking but it helps with promoting business and drive it to success. Direct messages are to be ignored if only sent to irrelevant person, but are effective way of networking consider that are sent to relevant people as they result in expanding business . Hashtags these are known as an effective way of promoting business. They are reliable and cost free! all you have to do is go ham with captioning of them depending with platform you are using, some platform you can use more than 20 hashtags on single post. Captioning relevant hashtags helps to reach out the potential clients.Hashtag everything you can think of that might be a bit similar to your content. And remember what you need to do with your social media. Because to monetize your social media through brands could be difficult if you use hashtags as they prefer people with organic followers.Why? Because organic followers are likely to stay and is natural; natural is fame!.Also this is considered mostly on Instagram. Tag your friend or anyone relevant using @ button to be able to network properly. Use as many as you can but remember not to abuse them. Give a big shout out to any influencer or any other potential social media star using the @ button that's how many people are gaining followers now days. Hashtag follow 4 follow:follow everyone as soon as possible, if you get someone following you;you need to follow them back and this open opportunity for getting more followers. Most people look at your followers and if your ain't following enough they think you are a bit bossy and this might result in slow growth. Hashtag like for like: like anyone post if possible so that they like you back, this is the best marketing strategy, don't hesitate or find yourself being tight with liking back someone's content this also gives you opportunity to be noticed by others and also gives you good personality as business person. Good personality is also highly noticed on social media. Shout out give big shout out to your audience for engaging; the engaging could be on your last post or could be for viewing or even commenting your post. Clients or audience will be pleased and may want to take part in the next content or existing content. They will also feel like the members of the family after so. It has also the chances of boosting the business to the next level. Word of mouth: the actual traditional way of promoting the business, well most people might thing it's silly to do word of mouth to people but this strategy is still one of the top strategy to reach out to potential clients as you will be able to send all the massage you might wish to archive, and it has the benefits of the right engagement. You will be able to identify the areas that might any correction. Fryers: design nice fryers to quickly catch readers attention, have all the details of social media business, and your phone number. Leave these in the barber shop, community centers, deliver them door-to-door service, and leave some to anywhere you can think of that has the potential of being reached by people. Remember that you're building an empire so collecting all the audience or clients on all different angles matters as this can speed up the process of growing the organisation. E-mail: the technology has advanced but email marketing is still on top of the list when it comes to marketing. Try and get the emails and email anyone possible about your business on social media. And including the link to your platform so that the customers can be easily referred (directed) to your site. Products trial: hand out these to any customers or ask them to send their address on DM or email so that you can send them a trial and this has potential because once the customer like the products the possibility of them buying the product is high and the can easily become your loyal customers. Posters: create great post about your business, go harm spreading and posting them. Your business has to get noticed; people need to know you are talking about business on social media. And make sure they are of quality for customers to easy read. Hold events: people would tun up to events because they want to find out about the product or services and make sure at these events bring the products with you; to give to those who might want a trial for the products. In this event present your business and the service you offer to details and promote, do to the highest level so that you collect all the clients if possible. Business account: I don't know how many times I write about turning your site into business account probably on each and every social media post I have to remind people to do so! Anyway this helps with the site discovery and helps with better reading and understanding of analytics. Business account or business pages helps with your service looks unique and stand out from the crowd as professional. Business page separates you from daily social media post as this is professional level of social media. Google Ads words:if possible target your site with google ads words.Google ads are easy way to promote your business.You can spent as much as you can possible like on them. You can choose to spent £1 a day which is one click or you can set according to your business budget. But also that you can always pause the ads whenever you feel like you have to end the campaign but the only thing that might be disadvantage is google ads take time to set up but even though you might get some help but knowledge of general IT is required but not essential. Analytics: is a good way of marketing your company. Good studying need to be carried out and need to be done on several times for some several weeks. Without proper studying of the analytics; a good recording can't be archived because you wouldn't know the right recording as it will be only a rough estimate; but doing the actual way helps with the close estimation. Re posting: all the missed out potential clients need to be reached out using this strategy, is the effective way of reaching out to audience that might have been left out on the actual day of the post, if hashtags need to be captioned then there's not a reason why you should do so!. Group chatsThis is the most effective marketing strategy that may leads to success. Your services need to be posted not to annoy others in the group but to promote your business as soon as possible.Don't abuse the the group by posting a lot times more than needed. Groups chat are good because people would be able to see it as they go to the group for a chat and recognize is one of the group member who actually posted it, and with that you are likely to get some support from the other group members by sharing your content and maximum viral could be archived. 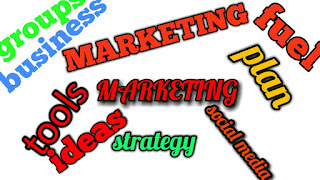 Their are so many marketing strategies that can be used on social media to be able to reach any potential clients. Practicing good engagement is always a key to marketing strategy. Being active helps with being discovered in the platform you are advertising or promoting your business. Be patient with your social media some business take time to grow and doesn't instantly blossom. Take your time studying the analytics and general site and compare to others see where you stand!. Stay away to any things that have potential to harm your business, things like picking on someone because the damage on social media spread quick and this might result in you loosing your personality and respect from the potential clients and other audience. In any ways: you market business to deliver top quality service because quality matter than quantity; quality has opportunity of retain business and quantity has opportunity of no retain clients and it will lead business into downfall, the factor we don't want to experience at any point of the business. Empire: it's not only the social media here but also the business side of it and other websites you might be working to archive through social media and all together your'e running an empire; empire need to be ruled fair and even to archive success you need to run it very effective. It's not easy to market on social media since the market place over flowing of variety stuff therefore good knowledge is needed to be able to archive success. Giving up easily isn't an option either! people technically give up too early and not allow time to study the business so they can boost the knowledge and enhance the skills. A lot of time need to be invested and patience will pay when everything is done accordingly. Business empire is built a little by little. Google ads words: are now called Google ads can be used to fast track the business and target any potential clients in potential areas!. Plan and strategy: also need to be looked into anytime and checked during the construction of the business or when the business have been established to see if things are being done accordingly or to see if any areas that might need improvements. Ads: are not really advised but could be a weapon of mass distraction in the marketing with disadvantage of being expensive and not effective if not targeted correctly. Engagement: is the best weapon and should be excised all the times to be able to archive the outcome, social media is about connecting and hang out (plat area) so if you don't engage with the audience and your brand isn't established well enough; not much could be done, to help your business expand.